At the British School of Tenerife we pride ourselves on offering an excellent education to students of different abilities. We are known for our friendly, family atmosphere and for the excellent behaviour of our students. We want all our students to enter the work market with qualifications that will make them highly employable; and to enter the world outside school as exemplary citizens. Our students come from many different countries and family backgrounds. In this international environment students learn tolerance and respect for each other. 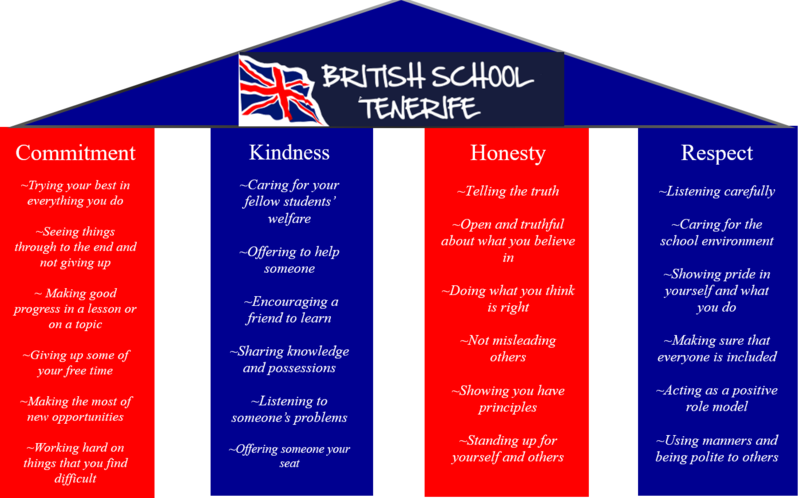 Combining excellent academic results with tolerance and respect for each other makes the British School of Tenerife an excellent choice for your child. If you would like to find out more about BST you are welcome to visit at any time.